Earplugs work wonders, I tell you. And maybe I also slept well because of the tiring day we had yesterday. I woke up around 6:15 feeling well-rested. We began the day climbing up Old Speck. It was a short, but steep climb in the clouds. It was chilly this morning, but once we began descending towards Grafton Notch, the clouds cleared and the temperature increased. 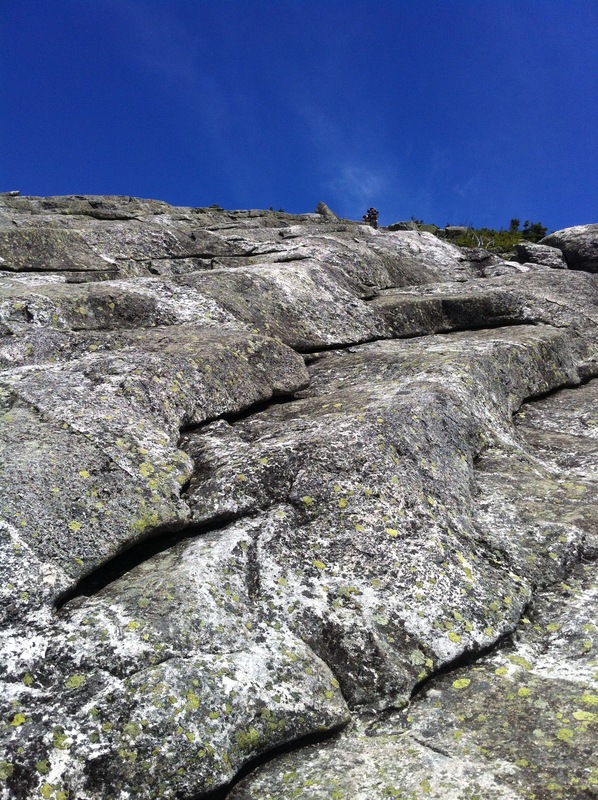 There were some slick spots on the rock slabs, but we made it down to the notch unscatched. And now, we are officially out of the Whites! We survived one of the toughest, if not the toughest section of the trail. Personally, I think the Maine section was even tougher than the New Hampshire section. We moved a lot slower the past few days than we did through the majority of the Whites in New Hampshire. Down at the notch, we met Gary, who was doing trail magic at the roadside. It was perfect timing and a place that I wasn’t expecting trail magic. Gary had water, apples, granola bars, and Little Debbie’s. It was enough fuel to get us up our next climb. Thanks for the food and conversation, Gary! And we hope to hear about you on the AT one day soon! We dominated the climb up to Baldpate west peak where we had clear views to the east peak and the surrounding mountains. The most spectacular views however, were on top of the east peak. 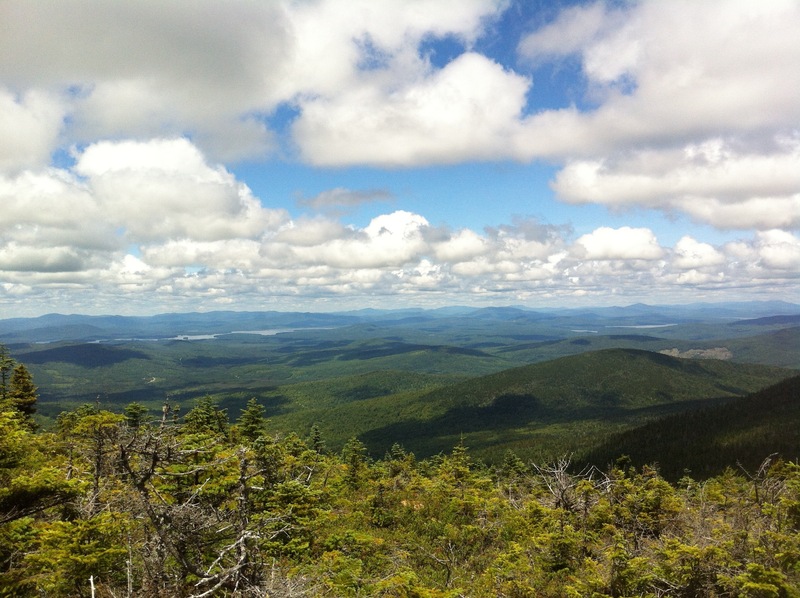 We climbed up the exposed granite side of the mountain and once we reached the summit, we had a 360 degree view of the Whites, Maine to the north, and what I would assume is Canada as well. It was one of the most memorable views so far. It was a clear, beautiful day. Really, it was a perfect day, not too hot and a breeze blowing through. We could even see Mt. Washington, covered in a cloud of course. 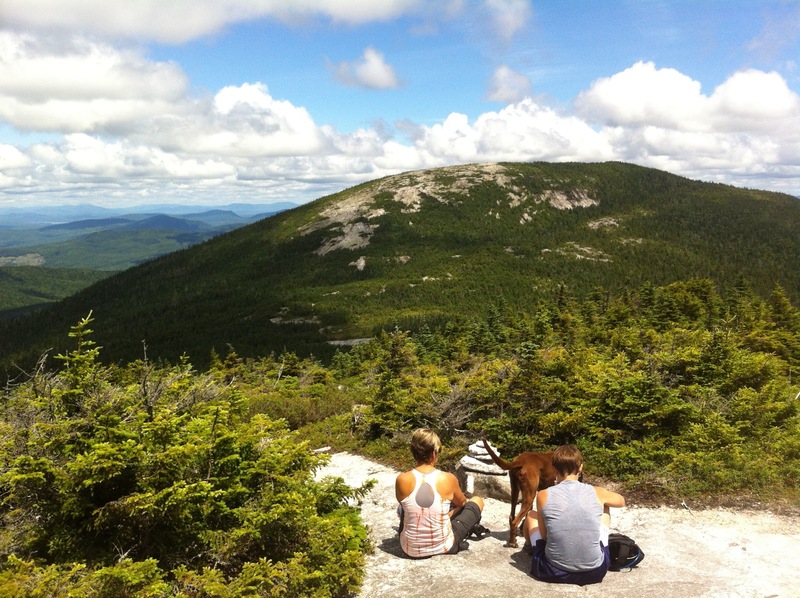 Maybe I’m biased, but the mountains of Maine are the most beautiful on the trail. 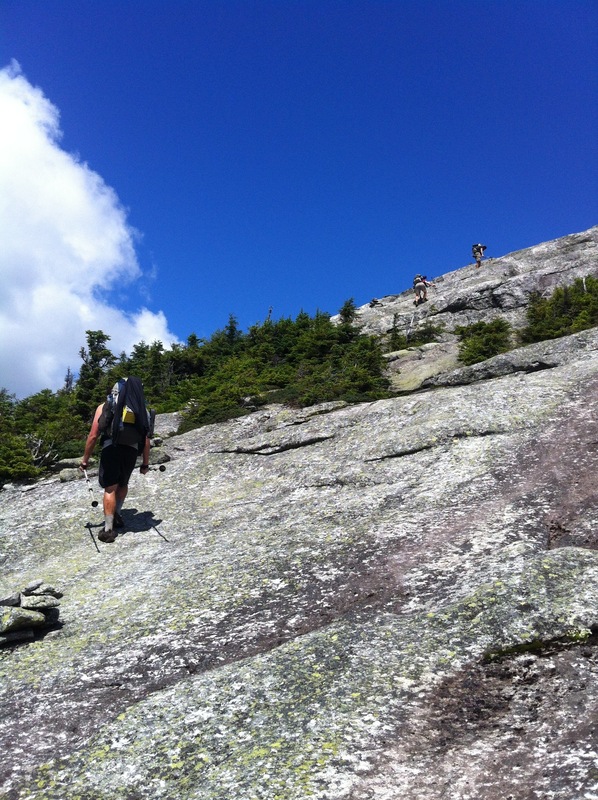 It was slow-going down the first part of Baldpate, but things sped up as we got closer to the Frye Notch Lean-To. We took a break there, the mosquitoes and flies all around, before heading down to the road into Andover. We called the hostel at the top of the mountain on our way, and got picked up only a few minutes after we arrived. We were greeted with a cup of pink lemonade to enjoy on the ride back to the hostel. Andover is a very small town, so small that I’ve lived in Maine my entire life and have never heard of it. We’re clean now and enjoyed dinner at the general store down the road. We’re pretty excited for our zero day tomorrow. It’s our first one since Hanover, which was two weeks ago. My sister, brother-in-law, and nephew Louie, (now 9 months old! ), and one of my best friends, Hayley will be coming to visit us tomorrow. We’re looking forward to hanging out with family and I can’t wait to see how much my nephew has grown since March. Needless to say, we’re happy to be back in Maine. Njoy tmro, u guys are so close great job!!! Thanks as always as I have followed u 2 everyday!! Keep it up!! Welcome to Maine, you guys. Enjoy your Zero Day and say hi to Todd, Jessica, and Louie. Lisa will be jealous! from your starting state of georgia we send….